For building control panels, we are introducing around 600 different factory automation (FA) devices, across 18 different product categories, all built to a common design platform. The new FA devices are built with our proprietary Push-In Plus wiring technology. We have conducted market research with 300 global customers, focusing on the challenges and needs they have in designing and manufacturing control panels. 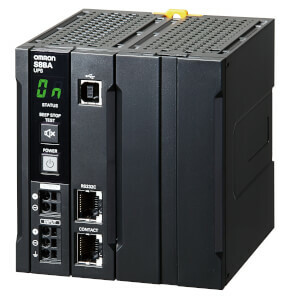 Following this initiative, we have developed a new range of Factory Automation (FA) devices for control panel builders built on a common platform. All devices have the necessary certifications, including UL and CSA, and bear a CE mark. Moving to a smaller, standard component height across all of our family of factory automation (FA) control devices allows for standardised wiring duct and component placement, optimising space. The dead space in a panel can be reduced, in comparison with an old model, by as much as 50% horizontally and 20% vertically. When building a control panel, wiring is almost always the most time consuming and costly operation. A lot of control wiring is needed to link components together. Compared with the conventional screw-type terminals, our new Push-In Plus technology means the wires are held firmly in place and less insertion force is required - wiring is easier than inserting an earphone jack. Furthermore, this soft touch technology can reduce the risk of repetitive strain injuries (RSI). We make the parts data for all major products available via an online library on our website. The information from this library can be directly imported into leading panel design software packages, including Eplan and in the future also Zuken E3. We also offer 2D and 3D CAD files in the most popular formats here. This makes it easy to optimise the use of space within the control panel. Since January of this year, we are offering a new service of offering optimised panel parts lists. The service is proving especially valuable for smaller panel builders who lack the resources and facilities to carry out these duties in house when under severe time pressure. And in parallel with introducing the new FA devices, there is a global network of emergency distribution bases in 35 countries. These will be stocked with an increased amount and variety of inventory, including both the new and existing products. 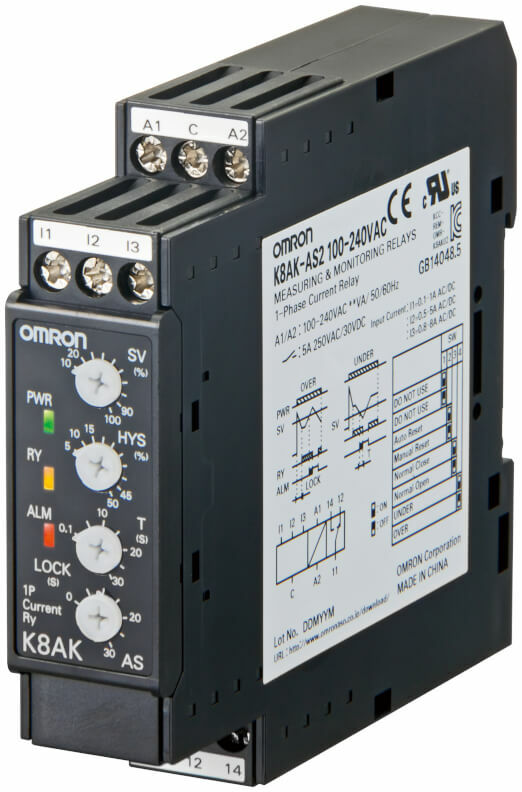 Our complete new range of compact in-panel components includes electromechanical and solid state relays, I/O relay terminals, terminal blocks, temperature controllers, timers, measuring and monitoring relays, power monitors and (uninterruptible) power supplies. The S8VK-S switch mode power supply is believed to be the world's smallest-class, globally applicable power supply series. It has a compact body with 36% less volume than our previous products and allows side-by-side mounting in close contact, to reduce the footprint, which in turn helps to downsize control panels. It also meets a broad scope of certification standards and ensures stable operation in a wide range of environments, with greater environmental resistance and a wide operating temperature range of -40 to 70°C. The KM-N2 power monitor series offers all power-monitoring functions required for in-panel installation. 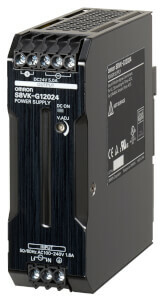 The use of general-purpose current transformers (CTs) enables it to be used at a variety of manufacturing sites. 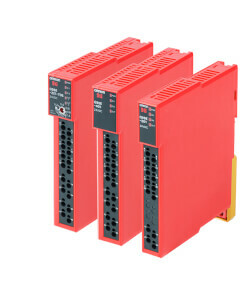 The series includes single-phase and three-phase 4-wire power monitors, and is compatible with power supplies around the world, while providing measurements of up to four circuits in one unit. 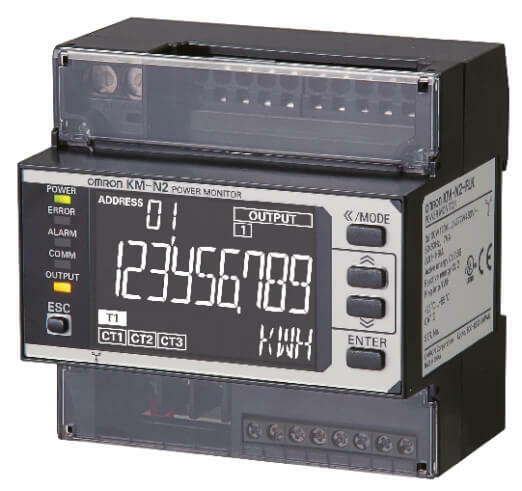 This power monitor also features precise measurements (IEC class 0.5S), incorrect wiring detection, and large, easy-to-read, white LCD characters. 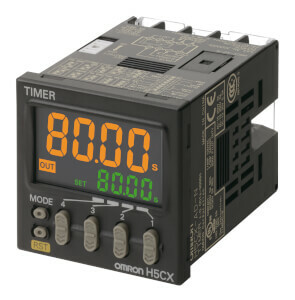 The H3DT slim timer series is designed to be mounted within control panels. It comes with a slim, 17.5 mm wide body, which has two relay outputs, helping to downsize control panels. 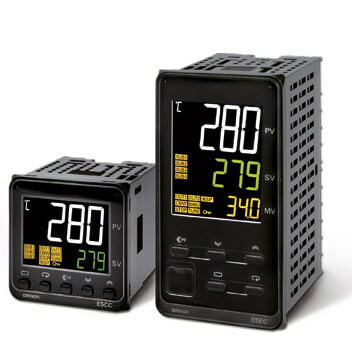 The power consumption of the H3DT is up to 60% lower than that of our previous timers and reduces the DC power supply load for an entire control panel. The expected service life is more than three times that of previous models. 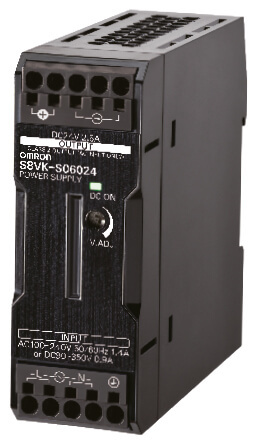 The K8DT is believed to be the industry's first measuring and monitoring relay series with transistor outputs. 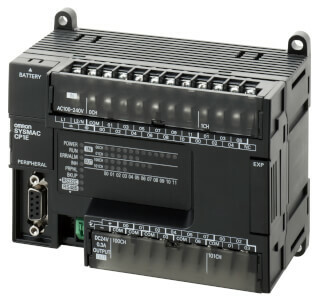 The series includes nine models, including current-monitoring relays, voltage-monitoring relays, phase-sequence phase-loss relays (to prevent reverse operation), temperature-monitoring relays and conductive level controllers (floatless switches). These devices are ideal for motor protection, prevention of excessive temperature increases in heaters, or water level control. 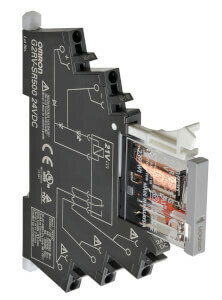 In addition to relays with a relay output, those with a transistor output exhibit greater reliability when directly connected to PC or PLC. 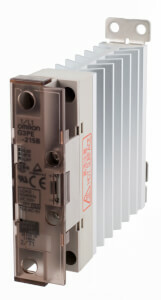 The G3PJ solid state relay (SSR) series for single-phase heaters has a slim body, with a 22.5 mm width for DIN rail mounting. It is approximately 50% slimmer than our previous relays. 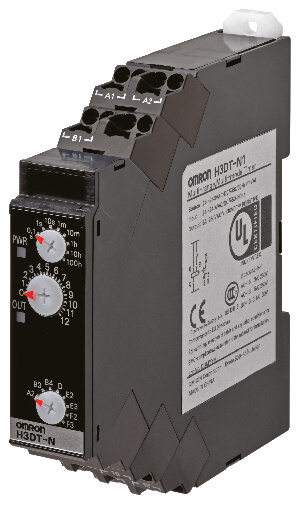 This low heat-generating SSR can carry 25A current, even with close-contact mounting of three SSRs, helping to save more space and downsize control panels. 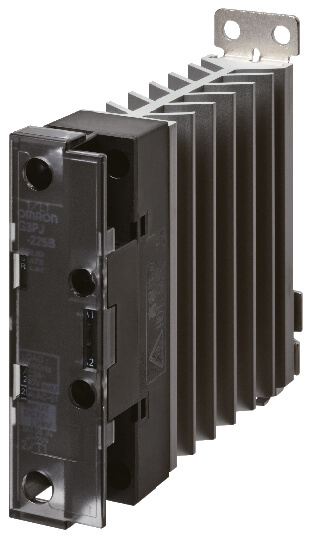 The G3PJ series complies with safety standards, such as those for reinforced insulation, which helps reduce the time required when certification is obtained for control panels or when components are changed. 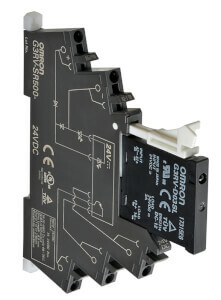 In addition to a wide selection of relays, we provide the easy-to-use relay series with Push-In Plus technology. 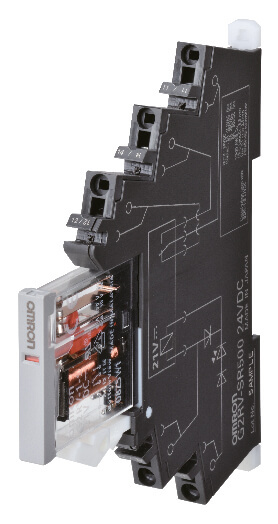 All relays in this series come with release levers as standard for easy relay locking and releasing. The ability to be installed with either the top or bottom facing up enables flexible, efficient wiring inside panels. 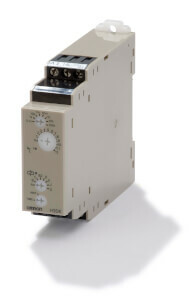 We also provide many accessories that make I/O products more convenient. 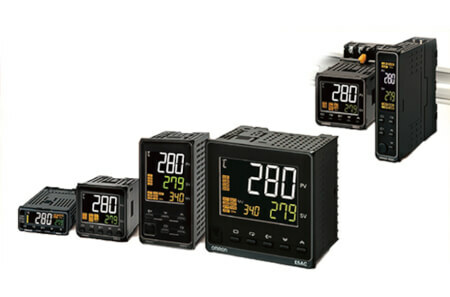 Since December 2011, the E5xxC digital temperature controller series has received favourable reviews due to its good performance, easy-to-read panels, and ease of use. Now, the E5xxC-B series with Push-In Plus technology has been introduced and will help reduce the time and work involved in wiring by just inserting wires without using tools. The XW5T/XW5G DIN rail terminal blocks use Push-In Plus technology. The minimum width of 3.5mm saves wiring work and installation space. To complement ‘high’ current ranges and also for screw wiring needs, we are also launching screw-type DIN rail terminal blocks.